China Law Information -online information for China legal research. China to put Supreme Court judge on trial - China is to put one of its most senior judges on trial for allegedly accepting a bribe of four million yuan (£365,000). Harsh words for China in Wednesday's papers - There are harsh words for China over its decision to execute a British man convicted of drug smuggling. British man said to be mentally ill executed in China (BBC) - A British man convicted of drug smuggling in China has been executed, the Foreign Office has confirmed. Testing the waters of a changed China - Stronger protections bring area law firms work, but can country really be trusted with secrets? China corruption website crashes - A Chinese website set up so people can inform on corrupt officials has been inundated with so many visitors that it crashed shortly after launching. Legislator: China to unveil 20 regulations governing foreign M&A -- China will introduce more than 20 supporting regulations on foreign mergers and acquisitions (M&A) of domestic firms before August, a senior Chinese legislator said on Saturday. The regulations will come out in a series before the Antitrust Law goes into effect on Aug. 1, 2008, Cheng Siwei, vice chairman of the Standing Committee of the National People's Congress, told a forum in Beijing. The regulations will help ensure that foreign M&A deals promote China's economic growth without threatening its economic security, Cheng stated. Under the Antitrust Law, China would scrutinize foreign M&A proposals if they posed a potential threat to national security, he noted. Oct. 9, 2007- China's Ministry of Public Security has promised police from around China will support Beijing police in their security operations for upcoming 17th National Congress of the Communist Part of China (CPC), which is due to convene next week. Aug. 30, 2007 - The Standing Committee of the National People's Congress (NPC), China's top legislature, on Thursday adopted the anti-monopoly law to ensure fair competition and regulate market order. The law, which began to be drafted 13 years ago, will come into effect on Aug. 1, 2008. The law requires foreign purchases of Chinese companies to go through national security checks. China's first anti-monopoly law to be voted Aug.24, 2007 BEIJING, Aug. 24 (Xinhua) -- China's first anti-monopoly law, which requires foreign purchases of Chinese companies to go through national security checks, is expected to be put to a vote later this month after being 13 years of deliberation. "McDonald's offers food service in China, but it does not use Chinese, which ... violates the consumers' right to know," the newspaper quoted Shan as saying. It said Shan decided to take action after eating at two of the company's restaurants in Beijing earlier this year. Spokespeople for McDonald's were not available after repeated calls to their offices in Beijing on Friday. The Youth Daily said Shan wants an apology and compensation of 1 yuan, about 13 U.S. cents. It did not give details on any court case. The newspaper quoted a McDonald's official as saying the receipts were changed earlier this month, and that all its menus and advertisements were in Chinese. 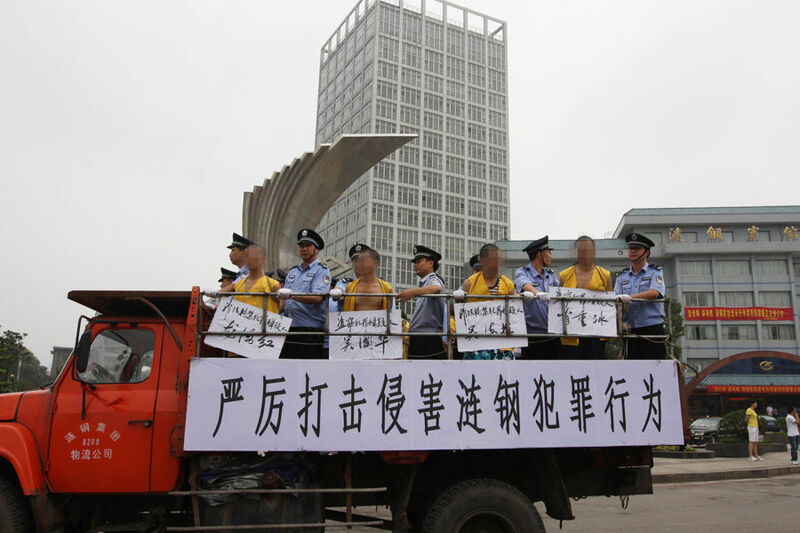 BEIJING, June 22 (Xinhua) -- China's courts will hire 1,900 more staff for open court trials for second instance death sentence cases, according to a source with the Supreme People's Court (SPC). "Over the past year, the SPC has been recruiting personnel for local courts where case numbers are high," the unnamed SPC official told an inspection team of the National People's Congress, the parliament, in a working report. 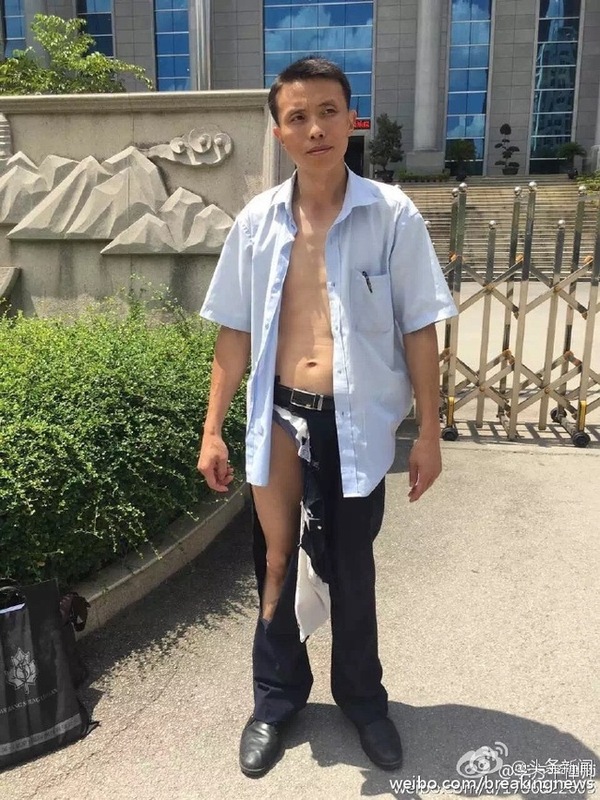 According to China's Criminal Procedural Law, since July 2006, open court sessions are obligatory when a second instance case is defended by a people's procuratorate. Previously, most appeal cases -- even death penalty cases -- were not been heard in open court because of a lack of qualified personnel. A local court source confirmed that understaffing often made it impossible to try death penalty cases in open court sessions. Since 2005, Chinese media have exposed several errors of judgement in death sentence cases and have criticized courts for alack of caution. If second instance trials are not heard openly, the public do not feel convinced -- the process is not transparent, the rights and interests of the accused are not fully protected, and judicial errors could occur," said the source, adding that the second line of defence is vital in correcting mistakes in original verdicts and preventing injustices. 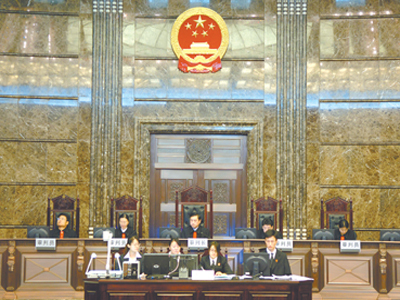 Last year, about 25,000 new staff were added to Chinese courts to beef up local courts. Statistics show that last year 889,042 people were convicted by courts at all levels across the country, and 153,724 people received sentences longer than five years, including life imprisonment and death penalty. Figures from the Beijing No. 1 and No. 2 intermediate people's courts indicate that in the first five months of 2007 the number of death sentences dropped 10 percent from last year. 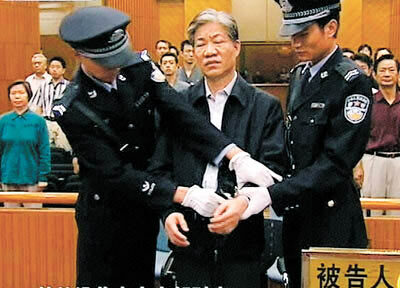 June 12, 2007 - China's former food and drug safety chief, facing execution for corruption amid a series of health scandals, has appealed against the death penalty, media said on Tuesday. Zheng Xiaoyu, former head of the State Food and Drug Administration, was convicted in May on charges of taking bribes and dereliction of duty. It was an harsh sentence, reflecting the weight China is giving to the issues of corruption and food safety as they grapple with a series of safety breaches involving toxins in food and other products. Xinhua News, April 11, 2007 - A local court on Wednesday heard the lawsuit by a Chinese science fiction writer for alleged infringement of his copyright by US movie giant 20th Century Fox Film Corporation. The court open at 8:30 a.m. on the second day after the US government filed two WTO cases against China over intellectual property rights and access to the Chinese publication market. The writer, a 43-year-old Li Jianmin, said 20th Century Fox while producing the movie The Day After Tomorrow copied the creative conception and the major plots of two plays he completed in 2001 and 2002. Li lodged the lawsuit at the the Intermediate People's Court of Dongying, east China's Shandong Province in March last year. The court accepted the suit last April. Xinhua Nov. 16, 2006 - China's Supreme People's Court on Thursday announced that anyone found smuggling more than ten artillery shells across the country's borders would receive the death penalty or life imprisonment. According to a judicial interpretation of the criminal law on smuggling cases issued by the court, people who smuggle between five and ten conventional less-than-60-millimeter shells or grenades across the border, or no more than five more-than-60-millimeter conventional shells will face over seven years in prison and a fine or confiscation of property. People who smuggle more than one unconventional shell in or out of the country, or more conventional artillery shells or grenades than the numbers detailed above will be adjudged to be committing smuggling offences of "an extraordinarily serious nature" and shall be given life imprisonment or death penalty in line with Article 151 of the Criminal Law. People who smuggle less than five less-than-60-millimeter conventional shells will face a prison sentence of between three and seven years and a fine. BEIJING, July 27 (Xinhua) -- China's cabinet publicized a special regulation on the supervision of food safety on Friday amid serious criticism from home and abroad of the quality of food products made in China. -- Inspection and quarantine authorities, as well as commercial and drug supervisors, should establish positive and negative records for Chinese food exporters and submit the records to the media regularly. -- Local governments at county level and above are mainly responsible for the supervision of food product safety. -- Exporters of food products who provide fake quality certificates or evade quality and quarantine inspections will be fined three times the product's value. China has faced a barrage of international criticism over the state of its food industry in the first six months of the year following a series of scandals. The U.S. Food and Drug Administration (FDA) announced at the end of March that pet food imported from China had caused the deaths of cats and dogs. Later, in May, Chinese toothpaste was found to contain diethylene glycol in Central America and the United States. Japan, Singapore, Australia and other countries sent back millions of toothpaste tubes and Canada halted imports from China. The FDA also refused seafood products from China in June, saying that it would not resume imports until Chinese exporters provided necessary safety certificates. The regulation has also set out rules on the supervision of imported food products. -- China's imported food products should meet both the national compulsory standards and criteria in the contracts signed by Chinese importers and foreign exporters. -- Chinese importers should make detailed records of domestic distributions for imported food products and the records should be kept for at least two years. -- Inspection and quarantine authorities should establish a blacklist for foreign exporters and to seriously punish domestic importers who introduced unqualified food products. As a deterrent, two jewellery shop robbers are shown to the public in Luonan County, Shaanxi Province. 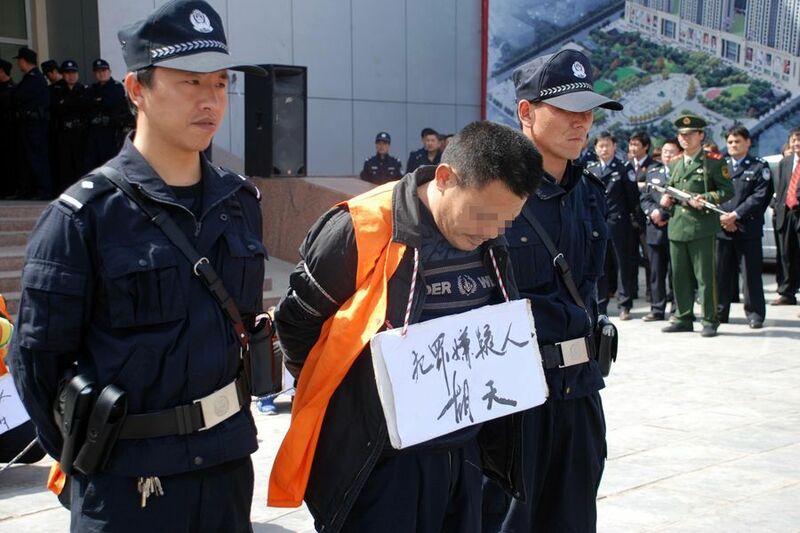 Pictures: A campaign of cutting down crimes - in a "Chinese Way"? BEIJING (AP, Dec. 8, 2008) A court in China has refused to accept a lawsuit against a Chinese dairy filed by dozens of families whose children were sickened by tainted milk. Lawyers involved in the case said Monday the lawsuit on behalf of 63 defendants ? including the parents of two children who died ? sought compensation from state-owned Sanlu Group Co. Sanlu is the dairy at the center of China's worst food safety crisis in years. "We will continue to push the case" and put pressure on them, activist lawyer Li Fangping said. China's Health Ministry admitted last week that six babies likely died, twice the previous figure, and 294,000 babies suffered urinary problems from drinking contaminated infant formula. 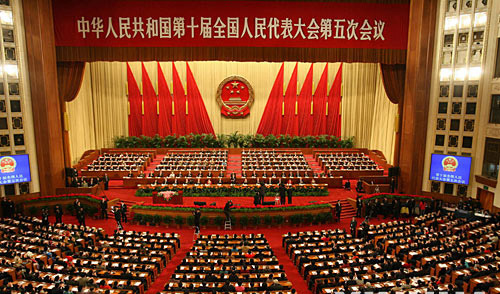 China adopts law to protect state assets. China Daily - China's top legislature on Tuesday adopted a law designed to protect state-owned assets from being illegally seized. The enterprise state-owned assets law, which goes in to effect on May 1, 2009, was approved at a bimonthly session of the Standing Committee of the National People's Congress (NPC) after the third reading.China has nearly 120,000 state owned enterprises. These included enterprises or companies with sole state ownership and joint-venture companies with the state as the biggest shareholders, according to State-owned Assets Supervision and Administration Commission (ASAC) statistics. China, EU found first joint law school - The CESL is an important step in China-EU cooperation and in China's progress to rule of law, Li said. He called on China and the European Union to operate the CESL as an important platform to learn from each other and cultivate professionals acquainted with both Chinese and EU law. Barroso said the CESL would help to increase mutual understanding and cement the EU-China comprehensive strategic partnership. Meeting with Barroso before the ceremony, Li called for strengthening of dialogue and cooperation between China and the EU. 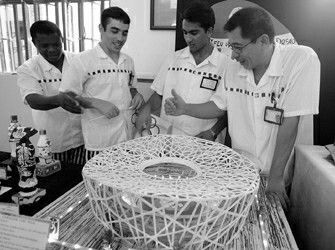 A foreign prisoner (detained in a prison in Shanghai) using old newspapers made a model of the Bird’s Nest (China National Stadium for 2008 Summer Olympics). The prisoner used old newspapers to curl into more than 8,000 long sticks and 10,000 short sticks and made the model, it took him 28 days to complete. Total number of law firms: 11,000, 70% of them are partnership firms. 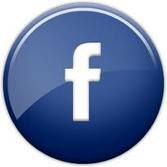 All the content and linked content provided in this page is for your informational purposes ONLY. ChinaToday .com disclaims all liability or responsibility for the ACCURACY and COMPLETENESS of the content and linked content provided in this section. The number of lawyers in China has jumped to the present 110,000 from a mere 200 two decades ago, a seminar has been told. Addressing a seminar on international cooperation in the modern tertiary industry, Jia Wuguang, general secretary of the All-China Lawyers Association, said a sharp rise in the number of lawyers shows the rapid expansion of the country's legal services. There are now nearly 10,000 law offices in China, he said. They include lawyers specializing in the securities, finance and real estate sectors. There is a great market potential for lawyers as the economy becomes knowledge-based and emerging sectors become mainstream, added the general secretary. He explained the knowledge-based economy and emerging sectors will need more professional legal services than the traditional economy did. Moreover, he described legal services as an important part of the sound investment environment essential for overseas investors. California Labor Law Firm - California labor law firm experienced in assisting employees with California overtime laws and wage and hour pay claims. We offer a free case evaluation. California Overtime Law Firm - United Employees Law Group is a California law firm experienced in enforcing California overtime laws and overtime pay on behalf of CA employees. Our California overtime lawyers will provide a free case review! Accident Compensation Claims - Advice from specialist personal injury solicitors on the no win no fee scheme. Accident compensation paid in full. Contentious probate solicitor - Expert lawyers offer free advice on disputed wills and probate. Cerebral Palsy Compensation Claim - Our referral service will provide you with specialist legal advice from Australian medical negligence solicitors. Find out what your rights are today. Accident at Work Compensation Claims UK - Been in an accident at work? The Claimant Law personal injury lawyers are here to give you expert advice on making an 'Accident at Work' compensation claim in the UK. 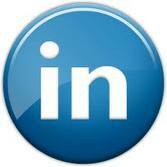 IT Jobs - CV-Library.co.uk - 1000's of IT jobs from the UK's top recruiters and employers. Executions jumped by a third in Iran and quadrupled in Saudi Arabia last year, causing the total number of executions around the world to rise yet again in 2007, a human rights group reported, adding that China remained far in front as the world's top executioner. The Rome-based Hands Off Cain, which campaigns to stop the death penalty, said that while countries were increasingly renouncing the death penalty, more people were put to death in 2007 than in either of the previous two years. In all, the number of executions increased last year to at least 5,851, compared with 5,635 in 2006 and 5,494 in 2005, the group said in its annual report. The gradual trend of abolishing capital punishment continued, with 49 countries retaining the death penalty, compared with 51 in 2006 and 54 in 2005. Only 26 countries that have capital punishment on their books actually used it in 2007, down from 28 in 2006, the report said. China alone accounted for at least 5,000 executions, the rights group estimated, based on reports by the media and other human rights groups. 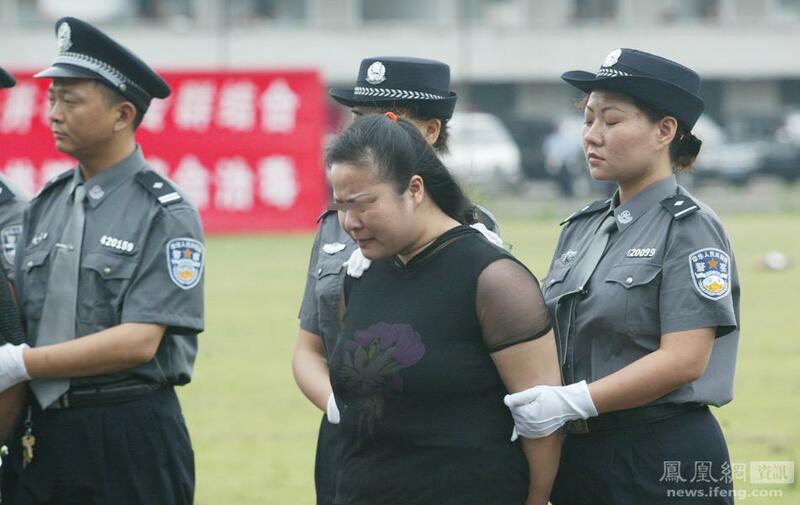 The exact number of executions in China remains a state secret. This was the same estimate the group gave for China last year. 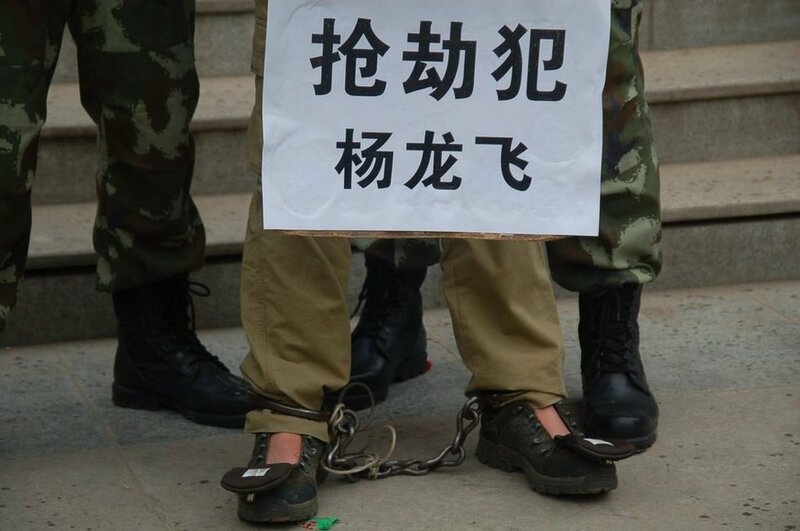 However, Hands Off Cain said there were indications of a reduction in the number of death sentences in China. Citing reports by magistrates, researchers and rights groups, the group said death sentences issued by Chinese courts may have dropped by up to 30% in 2007. China's own Supreme People's Court has said it rejected 15 percent of all death sentences reviewed in the first half of this year. In Iran, at least 355 people were put to death last year, compared with 215 in 2006, the group said, adding that the figure may be even higher because Tehran does not publish official statistics. Saudi Arabia carried out 166 executions, compared with 39 a year earlier, the report said. Hands Off Cain said both Iran and Saudi Arabia executed minors, in violation of the UN Convention on the Rights of the Child. Pakistan also continued an upward trend, executing at least 134 people. The US remained the only country in the Americas that carried out death sentences in 2007 - putting 42 people to death, 11 less than in 2006 and the lowest number in 13 years. BEIJING, Aug. 1 2008 (Xinhua) -- China's first anti-monopoly law took effect on Friday, viewed as a milestone of the country's efforts in promoting a fair competition market and cracking down on monopoly activities. The law, which was proposed 14 years ago and finally received official approval last year from the Standing Committee of the National People's Congress, the country's top legislature, aimed to build a uniform, open, transparent market, and to encourage fair competition, experts said. Sheng Jiemin, a Peking University law professor, told Xinhua it had introduced some advanced concepts from America's anti-monopoly law, which strikes at dominating enterprises' monopolistic activities and puts safeguarding consumer rights as priority. "It is different from other economic laws," Sheng explained. "Punishment usually comes after a long and thorough investigation and research under the anti-monopoly law." The State Council, China's Cabinet, said it had established an Anti-monopoly Committee earlier this week. It will research and map out relevant laws, investigate and monitor enterprises and companies, assess the competition situation in the market and cooperate with other government bodies to enforce the law. Despite this significant improvement in the country's economic reform and legal system, experts felt the government still had a lot to do to perfect the law and enhance its efficiency. "There is possibility for crossing and overlay of the functions between the three law enforcement bodies," Sheng said. "It is hoped that an unified institution comes out in the coming years, which will be better in accordance with the country's situation." "The country currently has no better measures to solve the monopoly problem in some crucial centrally-administrated and state-owned large enterprise and industrials," said Zhang Yansheng, the NDRC's International Economic Research Institute director. Any activities that harm consumer rights were discouraged, Zhang added. Three government organs, including the National Development and Reform Commission (NDRC), the Ministry of Commerce, and the State Administration for Industry and Commerce (SAIC), will enforce the law and carry out its implementation in a coordinated fashion. The SAIC said earlier it had established an independent bureau, which was in charge of investigating and punishing unfair competition, commercial bribery, smuggling and other cases that broke relevant economic laws. In addition, the country's top economic regulator, the NDRC, finished a draft of the anti-price monopoly law regulation earlier this week, which was a component of the anti-monopoly law. According to the draft, monopolizing enterprises that intended to control prices, dump their products at extremely low prices and sold products at various prices between different consumers at random, would face punishment. "The anti-price monopoly law regulation will determine the government's actions in cracking down on price monopoly via a legal basis," said Li Lei of the NDRC's price supervision department. The anti-monopoly law was not expected to shake the country's "4S" automobile marketing mode, which features a combination of "sales, spare parts, service, and survey," market analysts said. "Since no single automobile enterprise dominates the domestic market, there is no monopoly in this sector," said a Ministry of Commerce official who declined to be named. "The only problem is excessive competition."